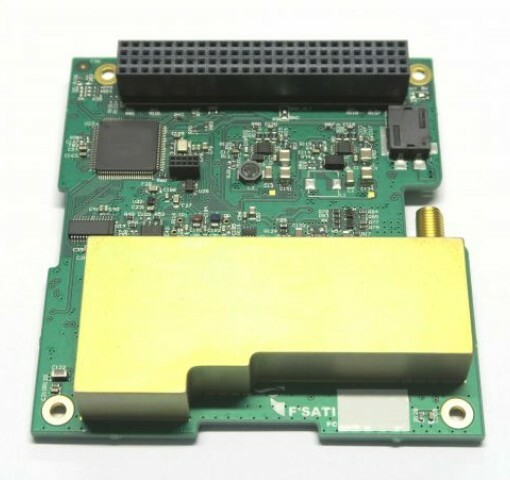 The STX is a compact S-Band Transmitter designed for CubeSat missions. It is compatible with the CubeSat standard, This is ideal for space missions where a high data-rate downlink is needed. The STX implements QPSK modulation with transmission data rates of up to 2 Mbps. The uses an open network encoding scheme based on the IntelSAT IESS-308 specification which makes this product compatible with low-cost commercial receivers. A nadir facing S-Band patch antenna can also be incorporated into the CubeSat design. Its small size, low profile, rugged design and high directionality make it an excellent addition to the system.